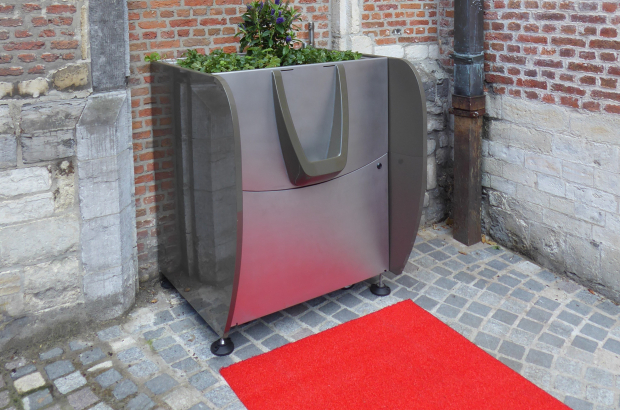 In an ongoing battle against public urination, the city of Mechelen has launched GreenPee, an ecologically friendly urinal that that turns urine into fertiliser. The city placed the structure (pictured) in Minderbroedersgang, where the problem is at its worst. Public urination is illegal in Flanders, and those who are caught are fined €350. But catching men in the act is, of course, very difficult. GreenPee, a Dutch product, is itself a large pot for plants, with a urinal on the front. The urine is absorbed by hemp fibres, composted and becomes fertiliser, which will be used on the city’s plants and trees.